BRINGING CUSTOMERS INNOVATION, VALUE AND INCREASED PRODUCTIVITY. Woodings Industrial and Munroe Inc. are global leaders in the design and manufacture of equipment and components for the metals, power, petrochem and pulp/paper industries. The two companies excel at providing customers with equipment that increases efficiency, extends campaign life and improves safety while increasing value and profitability. Both companies have been committed to customers' needs for well over a century, and offer a wealth of expertise and knowledge. Munroe was established in 1835 and Woodings was founded in 1883 by Emanuel Woodings. In 2007, Munroe, Inc. was purchased by Munroe Holdings, a Woodings Industrial Corporation affiliate. Together, Munroe, Woodings and affiliated company Progressive Power Technologies form a powerhouse of capabilities. 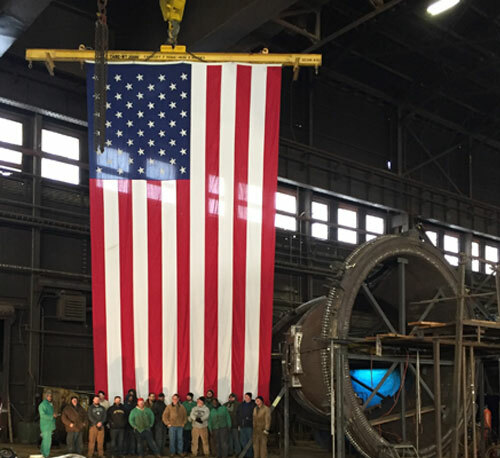 With over 300 years of collective manufacturing experience, our team combines extensive industry understanding, engineering expertise, world-class fabrication, refractory application and construction services to answer the most demanding customer needs.